The fifth, and sadly final, issue of Marvel’s Spider-Gwen series is jammed packed with firsts for the series, but is there too much there for the book’s own good? Let’s find out. The issues switches from its ominous start to the members of the newly-reunited Mary Janes arguing outside of Madison Square Garden. Felicia Hardy, an old rival has invited the band to open for her act, Felicia Hardy and The Black Cats. Glory and Em Jay are fiercely debating if they should take the gig, with the former stating that Felicia is simply trying to embarrass the MJs and rub her success in their faces. Em Jay counter argues that whatever Felicia’s intention, the band has to take the opportunity and run with it. She’s able to sway the band, and they play the gig. However Felicia is watching them from the rafters with an ulterior motive they never could have imagined. Got behind on Spider-Gwen? 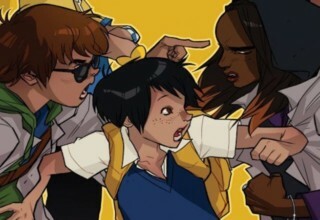 Check out our review of #4 – possibly one of the best comics of the year to date! A flashback scene chronicles the backstory of this version of Felicia Hardy, who seems to be portrayed as ethnically Franco-African. 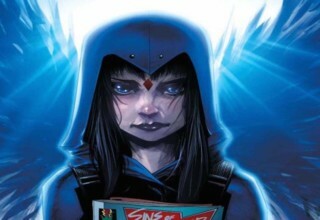 Like her 616 counterpart, her father was a master thief. However, instead of stealing items that have large monetary value he and his apprentice daughter steal items with inherent sentimental value, such as an antique hairbrush that belonged to Marie Antoinette. The two steal the first dollar ever earned by Wilson Fisk, enraging the Kingpin. He has Murdock murder Felicia’s father in front of her eyes, traumatizing her. She builds a singing career, all the while plotting her revenge. Back in the present, Felicia storms the stage during The Mary Janes set wearing some Lady Gaga style cat-inspired battle armor and flanked by three men in large cat suits. 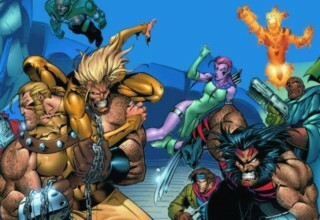 Initially her interruption looks like part of the show, until she burns the Kingpin’s dollar bill and challenges Murdock in the crowd, who responds by having a squad of ninjas attack her. The concert breaks down into a bit of a riot at this point. Ever protective of the people she loves, Gwen ensures her bandmates are out of harm’s way before changing into her Spider-Gwen costume. Spider-Gwen stops Felicia from murdering Murdock and is forced to knock her unconscious, but not before Felicia tells her that Murdock murdered her father. Spider-Gwen in-turn angrily questions Murdock about this, and transitions into questioning him about the attacks on George Stacy that she believes he’s arranged. Murdock has his ninjas attack her, and as she’s fighting them he implies that he knows that Spider-Gwen is Gwen Stacy. By the time Gwen finishes incapacitating the ninjas, the police have begun to arrive, forcing both her Murdock to leave, with both vowing that they’ll meet again. 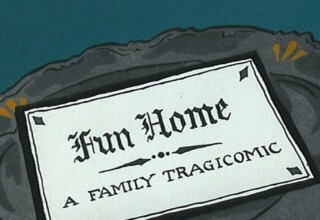 The issue ends with George Stacy sifting through his damaged home, which was destroyed by the Vulture several issues ago. As he’s pontificating about the situation he’s gotten himself into he’s confronted by his former partner and current Spider-Gwen task force member Jean DeWolff. She subtly tells him that police, especially Frank Castle, are becoming suspicious of his relationship with Spider-Gwen and that he should watch his back, ending the issue and series on an ominous note. As a single issue, Spider-Gwen #5 has a lot of positives. Plot-wise there are several major developments for the Spider Gwen Universe: we see the introduction of this universe’s race-swapped Felicia Hardy; we get Gwen’s first face-to-face encounter with Matt Murdock; and we learn that the police are suspicious of George Stacy’s relationship with Spider-Gwen. Latour’s dialogue is snappy, and there are several genuinely funny one-liners sprinkled throughout the issue. However, the issue falls a bit flat as a finale of the series, as it is to die due to the multiversal destruction in Marvel’s Secret Wars event. Everything you need to know about Marvel’s Secret Wars! It’s obvious that the creative team had no idea this would be the last issue, as there are several major plot threads left dangling. 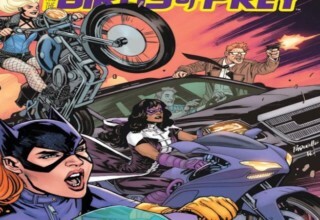 The story even treats the series’ titular character as a supporting player for most of the story, which would again be fine for an issue in the middle of an ongoing but falters as a finale. 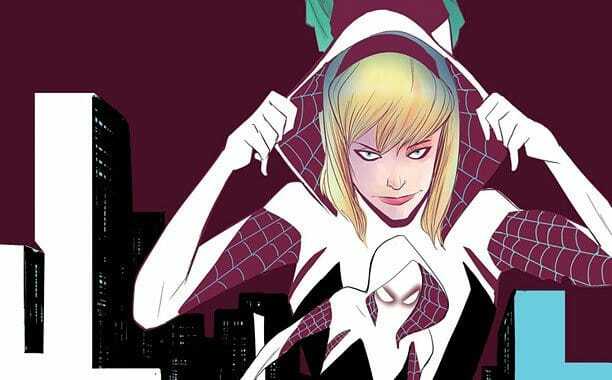 Why Spider-Gwen may be Marvel’s strangest decision! Artistically the book is spectacular, which is no surprise given the great work Rodriguez has done with the book. The colors and lighting for the concert scenes are particularly striking, and would be the artistic highlight in almost any other comic. However in this issue they fall second to the exquisitely executed Felicia Hardy flashback sequence. The stark orange and black coloring gives a noir air to the two page spread. The panel where Matt Murdock kills Hardy’s father is a particular highlight, notably for its Frank Miller easter-eggs of Murdock wearing a version of Man Without Fear Daredevil costume, and impaling Hardy the same way Bullseye impaled Elektra during Miller’s classic run. Spider-Gwen #5 was a tough issue for me to review. Had it been the middle-of-the-run issue it was supposed to be, I would probably give it a resoundingly positive review. As a series finale, though, its lack of any proper resolution for the characters or story take it down a few notches. As I said above, it’s hard to really fault the creative team for this as they seem to have been unaware that their book was ending due to Secret Wars, but the end result is the end result. Hopefully after Secret Wars Latour and Rodriguez will be able to return to Spider-Gwen and pick up these dangling story webs. Check out more reviews and articles by Brian! Previous article Through the Woods #1 Review: A Promising Start!